Regardless of your career field, it is likely that there are employment opportunities for people who have your skills within the United States Government. Federal government jobs tend to be stable positions that offer solid pay, frequent opportunities for advancement and excellent benefits, making them an appealing option for almost everyone. The best resources for identifying job openings with the federal government are the USAJobs.gov website and official government agency websites. For an official listing of federal job opportunities, visit USAJobs.gov. This site is operated by the Federal Government and is the best place to learn about employment opportunities, regardless of the department or agency you want to work with. USAJobs works like other online job search engines, though the postings are limited to jobs with various agencies within the U.S. government. When you go to the site, you'll see search boxes for keywords and location details on the home page, so you can quickly and easily opt to search for particular terms or locations. There is also an "Advanced Search" box on the home page. Clicking this box will take you to a page where you can enter details, such as particular agencies, occupational series number and types of positions you're interested in. 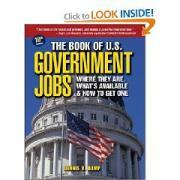 Get a glossary of terminology relevant to federal jobs. Learn details of eligibility requirements for federal employment. Get details about qualifications and classifications of federal occupations. Department of Homeland Security (DHS): Go to DHS.gov/Homeland-Security-Jobs to get details about working with the agency. Direct links to the DHS postings on USAJobs are provided, as well as links to civilian careers with the Coast Guard and Secret Service employment information (both of which are within DHS). Department of Justice (DOJ): Visit Justice.gov/Careers to get details about applying for work with DOJ. The Careers page will refer you first to USAJobs, but also provides links to career pages for specific agencies within the department, including the Federal Bureau of Investigation (FBI), the Bureau of Alcohol, Tobacco, Firearms and Explosives (ATF), the Drug Enforcement Administration and more. United States Postal Service (USPS): Go to AboutUSPS.com/Careers to search for job openings and apply online for positions that interest you. United States Courts: Visit USCourts.gov/Careers to get details about career opportunities. You can view jobs posted nationally, as well as positions at specific court locations and staff attorney and law clerk openings. These are just a few examples of the many departments and agencies within the United States government. Visit USA.gov for an alphabetical listing of every federal agency. From there, you can click through to learn specific details of any agency that interests you and go directly to its website to see what kind of career information is provided. In most cases, you will be referred back to USAJobs to submit your application, though you may find other helpful information. Since the federal government has a number of regulations in place to promote fair employment practices, position openings are often written in very specific language that can be somewhat confusing to the novice job seeker. Who may apply: Contrary to popular belief, US government jobs aren't automatically open to anyone. While some jobs are open to all legal US citizens, others are reserved for people who are veterans, disabled individuals who meet specific conditions or people who are current or former federal employees. Pay range: Most federal government jobs will list a salary range for the position, but new hires can typically expect to be offered something on the lower end of the pay scale. Series and grade: All federal government jobs are classified using a code that consists of a two-letter combination followed by two numbers. Two of the most common classifications are GS (General Schedule - salaried employee) and WG (Wage Grade - hourly employee). Qualifications: This section details the essential education and experience requirements for the position, as well as any highly desirable criteria. All of these factors are used to rank applicants during the hiring process, so try to address each one on your application. Promotion potential: If you're serious about making a career in the federal government, pay close attention to this part of the listing. This shows the highest grade level into which you may advance from the position. Conditions for employment: Some federal government jobs require a security clearance, background check, or other special evaluations. These criteria will be listed in this section of the announcement. If you're a college graduate, list your GPA if it's above a 2.5. Many organizations will offer higher starting salaries to applicants with a record of academic success. When completing your resume, consider putting equivalent federal government job titles next to your descriptions of past work experience. This will make it easier for the human resources manager to quickly determine your qualifications. Don't overlook volunteer experience. While it's true that some private employers don't place much emphasis on volunteer work, the federal government tends to look favorably upon volunteer experience that helps to demonstrate your skills as they relate to a particular position. Be patient. The application process for US government jobs can be quite lengthy; however, it's perfectly acceptable to call the contact person to inquire about the status of your application three to four weeks after the position's closing date. The process of finding a job with the Federal Government is not an easy one and there are no shortcuts to applying. Do not pay attention to any site or online offers that claim to have special information about government jobs that you can purchase. Only rely on USAJobs or the official website of an actual government department or agency for information on federal employment opportunities. Most government agencies have websites that end in .gov. The U.S. Postal Service is an exception with its.com web address, but generally speaking you should rely only on .gov sites when seeking federal job information. When searching for information on US government jobs, keep in mind that job postings listed on non-government websites may be a scam. If you find a job listing for a government organization on a non-government website, make sure you double-check USA Jobs or the agency's direct website to confirm such a listing. Never provide your personal information on an unsecured or unknown website and never pay a fee to search for employment opportunities with the federal government.